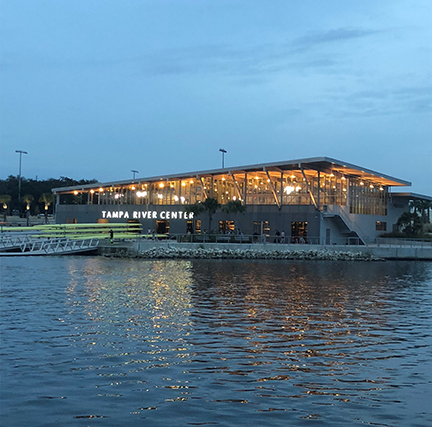 The new illuminated sign on the Tampa River Center is a beacon in the Julian B Lane waterfront Park. The focal point of the newly redeveloped public open space, the River Center is a Boat House below and a Community Center above. It contributes to the wealth of new programs and events to take place in the park and returns direct access to the water for local residents.